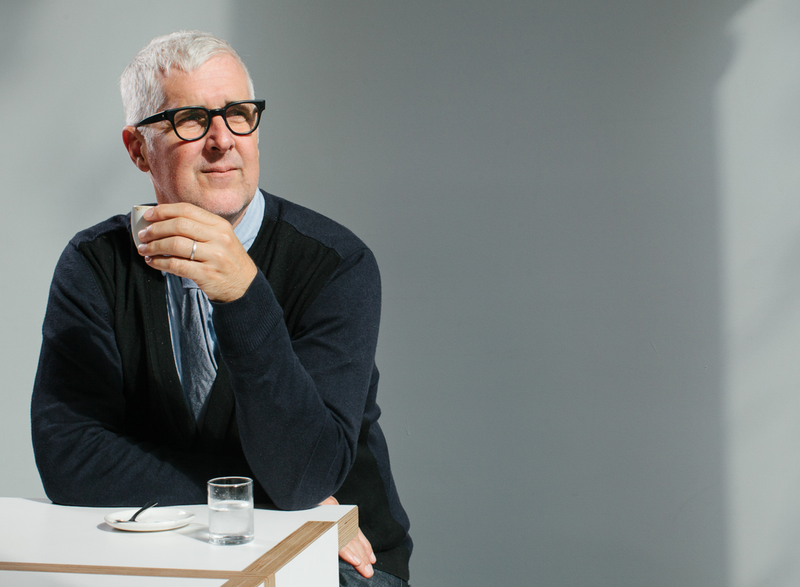 James Freeman started Blue Bottle Coffee as a side hustle and the company has grown from a single espresso cart to 40 locations around the world today. 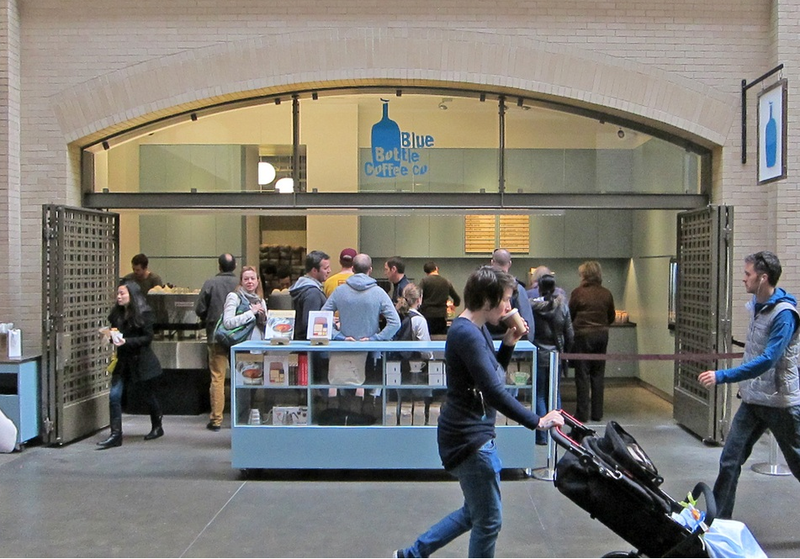 Last month, Blue Bottle Coffee opened its first café in San Diego at the new One Paseo mall in Carmel Valley. Photo: 99U. Soon, the Turks were repelled from the city, leaving everything they brought, including strange bags of beans, which were thought to be camel feed. Kolshitsky, having lived in the Arab world for several years, knew these to be bags of coffee. Using money bestowed on him by the mayor of Vienna, Kolshitsky bought the coffee and opened Central Europe’s first-ever coffee house (The Blue Bottle), bringing coffee to a grateful Vienna. 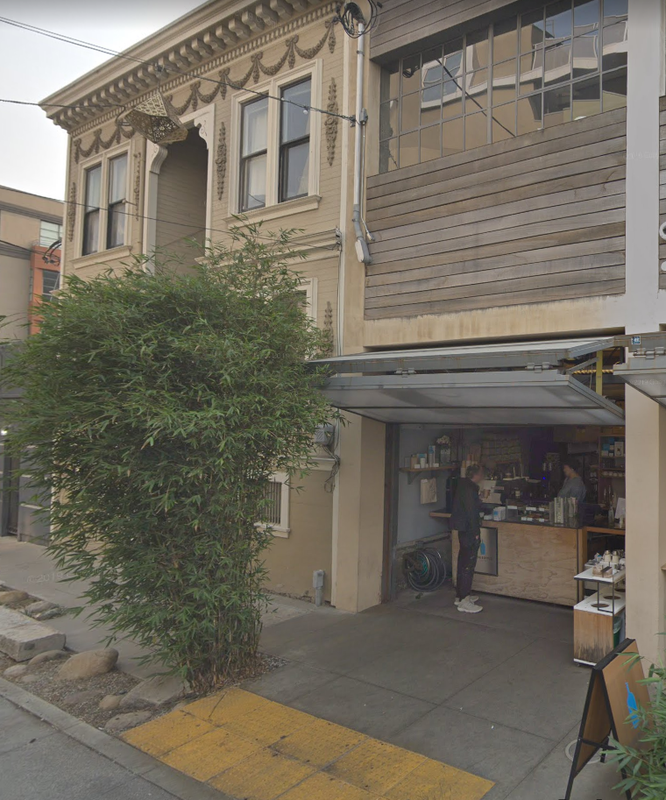 Before Freeman opened his roaster in Oakland, he started it all from a coffee cart located on Linden Street (above) in the Hayes Valley section of San Francisco. In a recent interview with 99U, Freeman said the cart is “still there.” PillartoPost.org on a recent visit to San Francisco looked for Freeman’s cart. Tucked away on Linden Street (just off of Gough) there is a Blue Bottle Café. It’s not a cart anymore but a small Euro-style garage turned to take out coffee stand. Why would haute design Blue Bottle pick such a simple alley location? Now you know. It’s the founder’s Rosetta stone. In honor of Kolshitsky’s heroics, Freeman named his business Blue Bottle Coffee and began another chapter in the history of superlative coffee. Now, more than 17 years later, and thanks to the enthusiastic support of many loyal guests, Blue Bottle Coffee has grown to a network of cafes across the U.S. and in Japan. Still headquartered in Oakland, the company sold a majority stake to Nestle in 2017. It remains one of the bigger roaster/retail players in the third wave coffee movement, which embraces single-origin beans. 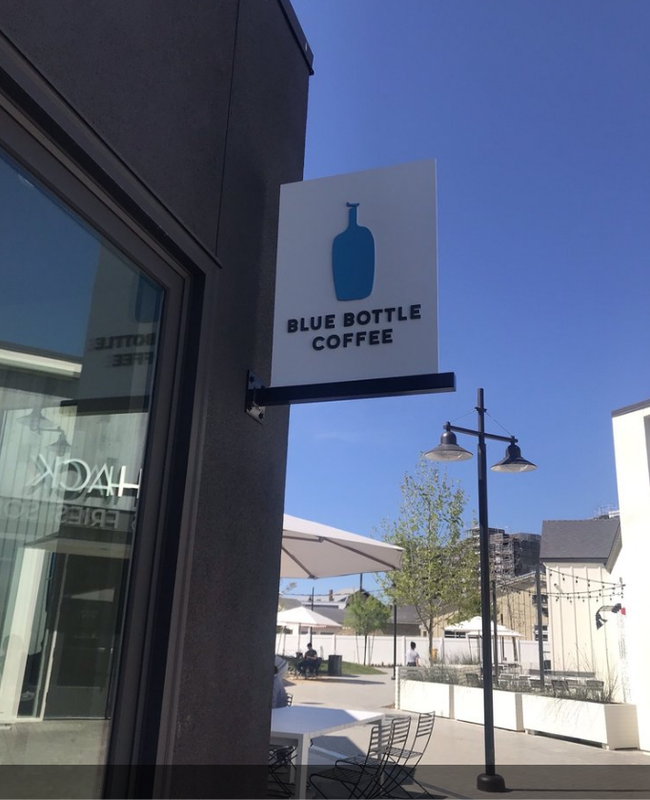 One month ago, the first Blue Bottle Coffee opened in San Diego at the new retail collection One Paseo in Carmel Valley (3725 Paseo Place). While San Diego’s initial Blue Bottle is strictly minimalist in line with its company look, blue spot creatives have selected statement sites for many of its cafes. 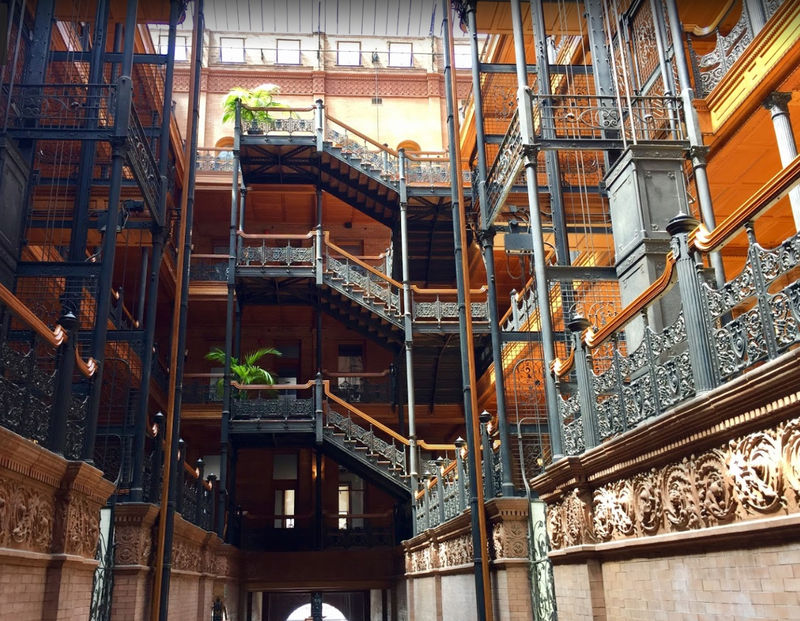 San Diego’s Blue Bottle is sited in a new mall while it has cafes located in the historic San Francisco Ferry Building and downtown LA’s steampunkish Bradbury Building. Ferry Building, San Francisco (above) and the Bradbury Building, Los Angeles (below).